Gabrielle "Coco" Chanel is one of the most famous French fashion designers. She especially famous for focusing on simplicity in her designs, while also using fabrics that were considered "poor," such as jerseys, and upgraded them to make beautiful clothing through expertly tailored clothes. 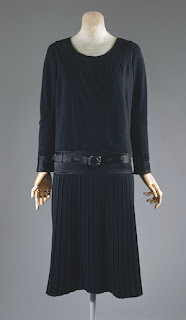 One of her biggest contributions to fashion is the "little black dress," which is now a staple of fashion and of style. 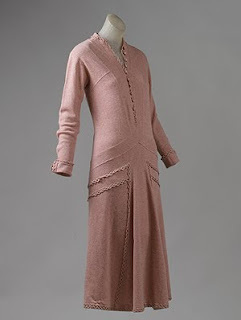 Chanel's style was most closely associated with the emergence of the flapper. Her clothing focused on a woman's body, as Chanel herself said, "I gave women a sense of freedom, I gave them back their bodies: bodies that were drenched in sweat due to fashion's finery, lace, corsets, underclothes, padding." Chanel was also the first to put a designer label on fragrance in 1921, setting the stanard for future designers.